Newcastle is popular as a university city on the River Tyne. It is included in the major student cities of UK. There are many notable educational institutes in the city, among which Newcastle University is a prominent school of learning. Newcastle University was established in 1834 and was granted university status in 1963. In short, it has more than 150 years of learning tradition. Another factor that makes the city a favourite among the students is its affordability. Newcastle University intakes a large number of international students every year. The number is in thousands; about 4000 to 5000 seats are available for overseas students wishing to pursue graduation courses here. This institute is well-known for its medical school as well as facilities for research students too. There is in-house accommodation for students, but, you can easily get apartment rentals near Newcastle University. 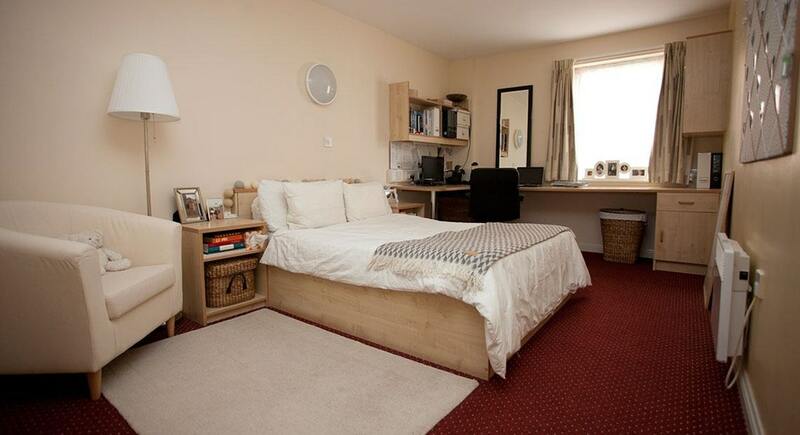 This is a much favoured property by the students of the university as it is hardly 8 minutes walk away. St James’ House is one of the international student properties near Newcastle University. 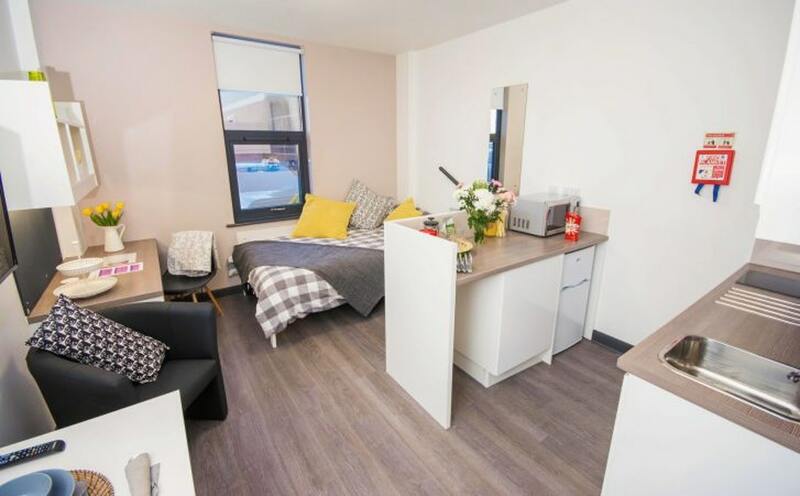 It is your typical student residence that provides all the requisite facilities to the students with rent starting from £159/week. It is well-connected to many places owing to the expansive transport system. Also, students can reap the benefits of offers like flexible payment terms and the option to stay over the summer. The major perk about this property is that they’ve included the provision of breakfast in their rent. This property is 9 minutes walk to the Newcastle University. Vita Student Strawberry Place is an enormous student residence around this area. You won’t be bored as there are other fellow students in great numbers in the premises. Newcastle St James metro station is right at the doorstep (2 minutes walk). The property offers facilities like movie room, gaming area and study room, to name a few. They also conducts events for residents regularly which ranges from underground parties to cultural celebrations. The rent starts from £203/week. This place also offers flexible payment terms and the option to stay over the summer. Shops, restaurants, bars and St James Park football ground are all a stone's throw away from the property. It is 14 minutes walk away from the university and hardly 5 minutes walk to the St James subway station. You can easily commute to far-off places using the well-connected transport system. This is another reason why St James’ Point pops into your mind when one thinks about where to live in Newcastle. 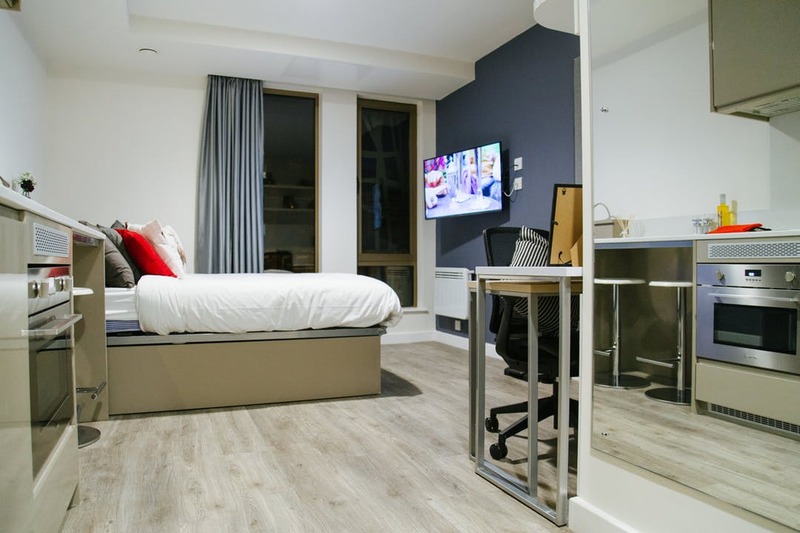 They provide all the necessary facilities for students at rent starting from £145/week. Do you want to check out more student accommodation options near Newcastle University, then click right here.